Comfortable, inviting and tasteful. Elegantly updated and modernized for contemporary living in a historic home. 4 bed · 2.5 bath · 3888 sq. ft. This home is a testament to craftsmanship & bungalow architecture. Updates compliment original details- boxed beam ceiling, pocket doors, wainscoting w/ plate rail, built-ins, wood burning + 2nd gas fireplace, wood floors. Updated kitchen, new appliances, Rejuvenation and Restoration Hardware lighting, remodeled master suite plumbed for washer/dryer, tankless water heater, new heat/AC systems and impressive lower level remodel- this home has it all. Improvements in 50 yr roof, custom wood windows & fully fenced, landscaped backyard. On a tree-lined street in NE Humboldt. Easy access to neighborhoods, walk score 88 & bike score 100. 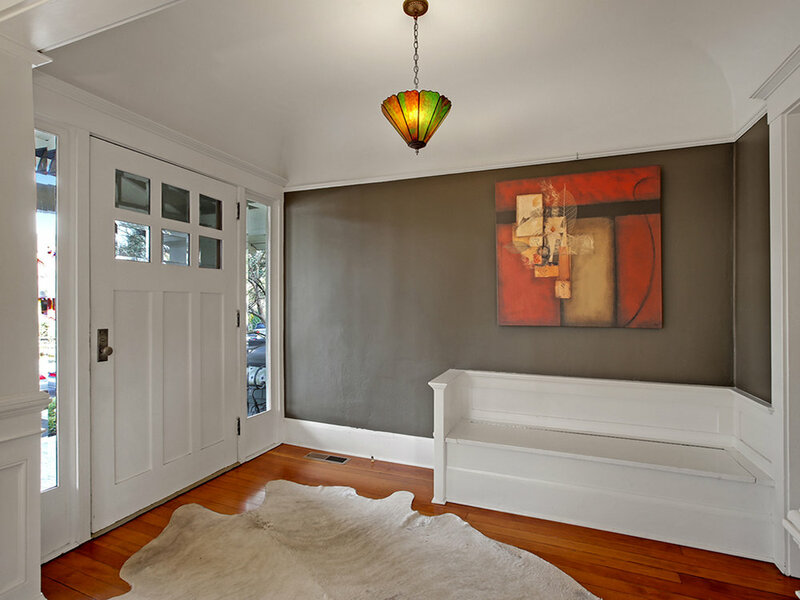 A formal entry with coved ceilings and built-in bench welcomes one into the home. 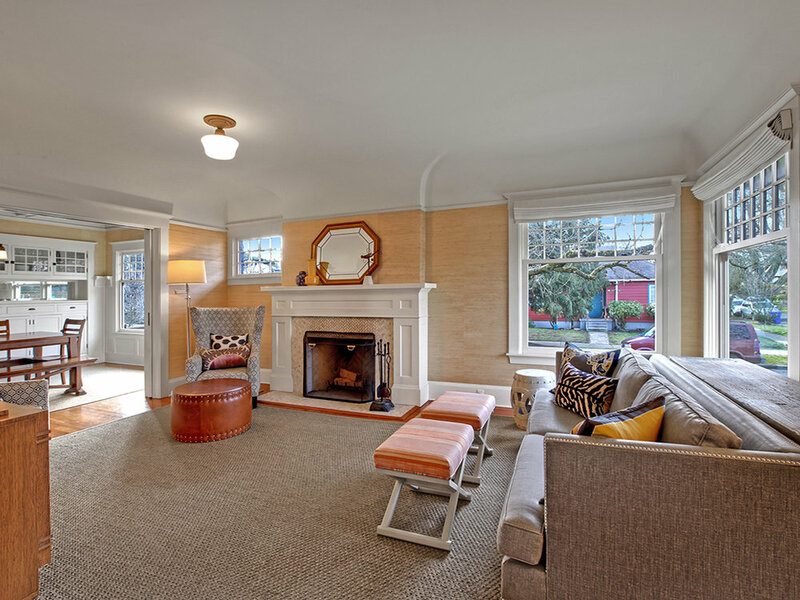 A connected layout on the main is ideal for gatherings and features grass-cloth wallpaper. Cozy-up in front of the wood burning fireplace in the living room or enjoy a meal in the classic dining room with boxed beam ceilings, wainscotting, plate rail and restored built-in. Prepare a feast in the kitchen equipped with a six-burner, professional Thermador range and chef’s layout for optimal meal prep. An eat-in nook allows for conversation and casual meals to be enjoyed as soon as the food is ready. Tasteful finishes with a classic touch grace several areas of the home. 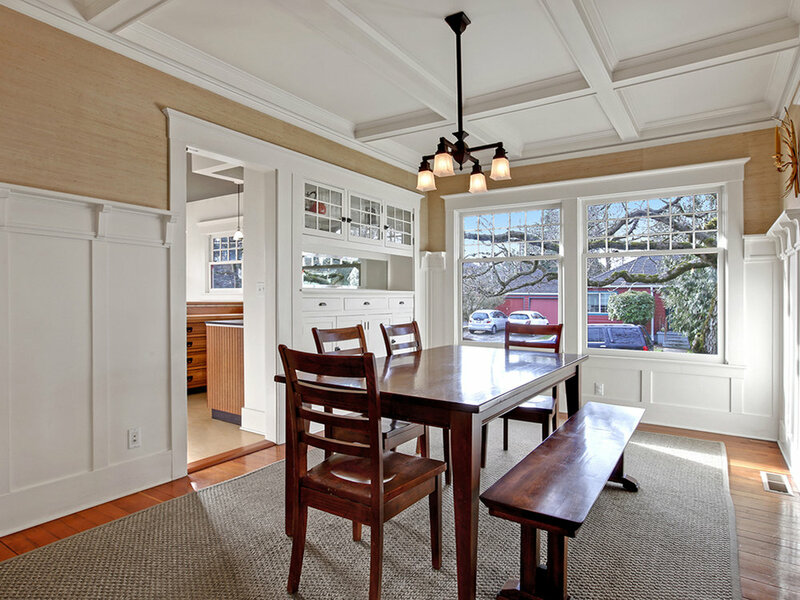 This beautiful craftsman is flooded with natural light in all rooms. This 4 bedroom and 2.5 bath home features a convenient layout. Upstairs is the master suite with reading or office nook, double closets, bright skylights and ensuite bathroom. 2 bedrooms on the main level feature walk-in closets. A full bathroom featuring a clawfoot tub is easily accessed off of the gracious hallway. Finished basement with large family room lined with inspired historic paneling and featuring boxed beams. Gas fireplace makes the space warm and inviting. The basement is designed for entertaining, play and as a retreat. The 4th bedroom/office is a quiet space to be mindful and features the historic woodlift. Laundry room with industrial sink and added storage in the lower level. High-end upgrades with a new HVAC system with air filter, 3-zone thermostat and on demand water heater. Gorgeous fenced and landscaped backyard with festive lighting, large patio & lush lawn perfect for outdoor entertaining and enjoyment. 5304 NE Cleveland is an intentional home. Updated and improved over time, the current owners have impeccably added thoughtful upgrades. It is a tasteful marrying of honoring the old and updating the new. From a new gourmet appliance package, full replacement of the heating/cooling system, to the addition of a 2nd gas fireplace, this classic home embraces modern amenities. Undertaken 2017/2018 and totaling in $82,200. This stunning basement showcases updated finishes with a classic touch - beautiful period inspired paneling, a gas fireplace 4th bedroom and custom cut rugs throughout. Previously unfinished basement, now complete adds an additional 1600 sq ft of living space. Flooded with natural light this home boasts and abundance of windows which have been updated with Marvin (Tilt Pac) double paned wood windows with divided light and Rejuvenation Hardware. A Paramount Signature Cut 50-year shingle roof replaced in 2016 ensures that the home boasts not only interior upgrades but exterior high-end materials as well. Quintessentially Portland, this offbeat, upscale restaurant exudes thick artisan vibes, from its elegant/rustic-peasant decor to the prominent brick wood-fired oven where all dishes are cooked. The beautifully presented small plates are rotated daily. The menu is an unwavering expression of the Northwest seasons, and a celebration of the bounty of Oregon. A 24 hr friendly neighborhood gym with the amenities of an exclusive athletic club. Complete with yoga and pilates studios, gravity machines, a massage studio, and 60+ classes per week. ME Fitness’s offerings include cardio machines, free weights, kettle bells, TRX bands, and a 20-bike spin studio. This 17 acre public park features an outdoor swimming pool, popular community center, baseball fields, playgrounds, basketball courts, tennis courts, covered picnic areas, with a historic bandstand gazebo perched overlooking the 2 acre manicured garden featuring 75 varieties of roses. A cozy, warm, romantic neighborhood bar with well made, artisanal cocktails, a sophisticated wine list, a sampling of beers and nice little tasty bites. Even though the bar itself is small, it is rarely crowded. The cocktail list holds a mix of classics and originals, which are all made with aplomb.